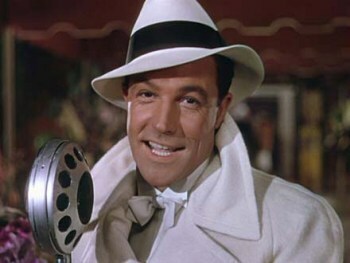 Gene Kelly. . Wallpaper and background images in the Classic Movies club tagged: gene kelly actor director dancer musicals movies classic movies. This Classic Movies photo might contain fedora, felt hat, homburg, stetson, trilby, boater, leghorn, panama, panama hat, sailor, skimmer, straw hat, pith hat, pith helmet, sun helmet, topee, and topi.